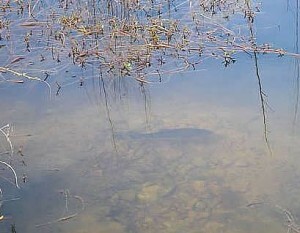 This is the time of year when largemouth and smallmouth bass spawn on our local waters. In order to catch these fish remember a couple of things. First you must keep your distance from the bed once you find them. Second light weight tackle is very important because the bass are not try to eat the lure, but they are just removing it from the bed. If they feel line they will drop the lure quickly. Third, bigger isn’t always better when it comes to lure selection. I find lures that are light weight in the 3 -4 inch size tend to work better. Keep those things in mind next time you are on the water. Remember to release the fish as soon as possible unless you are in a tournament so it can continue to spawn. Good luck and have fun with these big guys! !